Dan Kennedy says much of the advisor industry is stuck in the 1950s. He offers ways to get out and be more successful. But you can thank him for saying so, because when Dan Kennedy tells you you’re wrong, he promptly follows up with rock-solid advice that will give you the market edge he’s given to companies such as Weight Watchers, Miracle Ear and Guthy Renker as well as several insurance companies and top-earning advisors. This “No B.S.” flair has rightfully earned Dan notoriety as one of the world’s highest-paid copywriters and marketing consultants, and it is the foundation of his popular books, which include No B.S. Marketing to the Affluent and No B.S. Trust-Based Marketing. In addition to his 25 book titles, Dan produces what may be the largest-circulation paid-subscription newsletter devoted to marketing. The truth is, when it comes to marketing, direct response, copywriting and entrepreneurial success, it’s virtually impossible not to come across his name or influence. In this interview with Publisher Paul Feldman (who has woven Dan’s principles and training into InsuranceNewsNet since its inception), the Professor himself exposes the shocking mistakes agents and advisors make in their marketing and shows you how to get on a path to monumental success. No B.S. FELDMAN: You’ve worked with a lot of advisors over your career. What are some of the challenges you see them face in growing their businesses? KENNEDY: I’ve worked with financial advisors for 20 to 25 years, with four or five big product providers and their organizations as well as a lot of independents. The biggest thing that they miss is not unique to them, although the way they mishandle it might be. The mistake is focusing on the product and process rather than on the real ways that a client arrives at decisions about their money. Those decisions are principally driven by who they are going to do it with, not what they are going to do with it. Health care professionals such as dentists make the same mistake. Marketers make the same mistake because we live with our “stuff” day in and day out. We assign a lot more importance to products and process than a prospective client does. So advisors are constantly defaulting to product, product differentiation, features, benefits, prices, yield and how this instrument works. The way you can spot an advisor in the woods if you have no other means is that he’s going to show you pie charts. This is not how people reach decisions and, more importantly, have trust and confidence in where they put money. 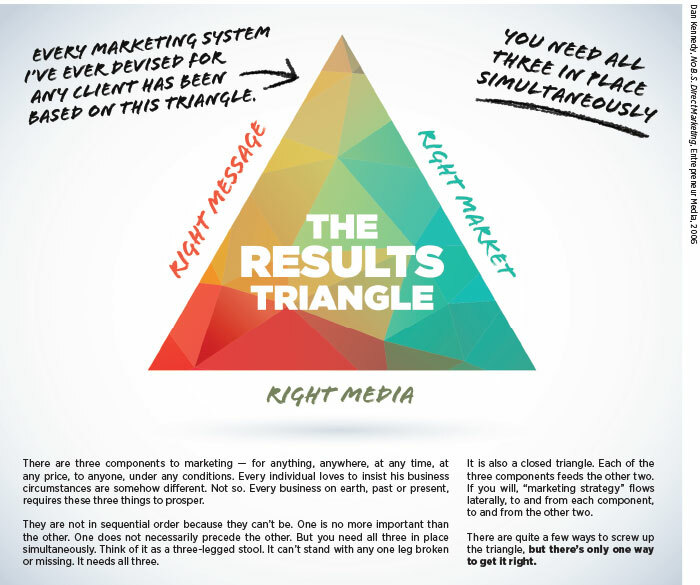 The entire advertising, marketing, selling and communicating approach is actually at odds with getting the client to the point of purchase and their real goals. You have a sales process in conflict rather than in cooperation. I had a call two days ago from a private banker seeking an appointment to dazzle me with all of the wonderful things that they can do that my current private banking folks might not be doing. The call was singularly unproductive. FELDMAN: Why did that banker fail to dazzle you? Second, he came from ignorance. One of the things that has changed in all the years that I’ve worked with advisors is that information about your prospective client has never been as readily, easily, cheaply accessible as it is now. When I started in selling, if I had an upcoming meeting with a prospective client and I wanted to research that person, I had to schlep over to the library, get the microfiche files of the local newspapers and pore through them, hoping to find a reference to this person. If it was B2B business, go to trade journals and look for information about this person. If they had written a book, find it in the library or a bookstore. Now you can sit in Starbucks with your phone and do a lot of research about somebody. And, although I don’t personally use social media, there is a social media presence for me maintained by the companies that are affiliated with me. I also have a website. If you use Google or LinkedIn or Facebook or Amazon or Wikipedia, you are going to find some stuff that you could use conversationally before you ever got on the phone or came to a meeting. But the overwhelming majority of advisors don’t. If advisors are putting on a dog and pony show, waving steak at the door to lure old people into the room at the country club, 99.9 percent of those advisors do not research the people who have registered to be in that room. So there’s this enormous amount of unnecessary ignorance built into the selling process as there was in the case of the banker on the phone with me. Third, there was zero diagnostic questioning. So, no probative search for a reason why I should take time and consider doing business with him. Fourth is follow-up. I’m leaving for England on Sunday for a week of work and so forth. So I deliberately stalled him and inserted myself into his tickler file for a month from now mostly to see what he’ll do. I have great confidence that he will do nothing. I doubt I will get a piece of mail, or a book written by him, or a CD with an interview with him on it. If I get anything, I’ll get some horrid ad-agency-produced brochure about the bank, which, if you took the name and the logo off, could be a brochure about any other bank. And this experience with him is the common experience with all private bankers, financial advisors, estate-planning attorneys and charity annuity salespeople. Or to be fair, with about 99 percent of everybody. It’s as if nobody has learned anything about advertising, marketing or selling since the 1950s. There is still a gross overreliance on a shoe-leather, door-knocking, cold-calling, manual-labor-driven process and really poor, unsophisticated use of marketing and advertising. It dates to a time when media, as well as knowledge about how to use media, were very, very limited. In my work lifetime, FedEx, fax and the Internet came into being, and I could go on and on and on. And yet, for the most part, all those media were not used by the sales professionals in these fields and are used badly by the companies they are attached to. FELDMAN: How do you think insurance company marketing misses the mark? KENNEDY: For the most part, it serves three purposes. One, it is more aimed at Wall Street approval than it is at effectiveness in the field. Two, it is satisfying the egos of the C-suite of the companies, so it can appear at the tennis tournament or the golf thing they sponsor. And three, it’s mostly plain stupid because it is advertising that ad agencies love because it’s unaccountable, not measurable, and all it has to do is satisfy the people paying for it. But when it gets down to the grass-roots level where John the Advisor has to get this appointment, it has done basically nothing. The companies do their folks in the field no favors and yet waste an enormous amount of money that could be redirected. To transition from a sales culture to an integrated marketing and sales culture is not an easy thing to do. FELDMAN: How can John the Advisor go from a sales mentality to an integrated marketing mindset? KENNEDY: There are a couple of ways. One is to consider the demographic and psychographic makeup of your clients. Who do you have and who do you want? Then get outside the community of financial advisors and companies and study how nonfinancial businesses market to that same constituency. For example, if you have 55- to 70-year-old, mass affluent to affluent, married homeowners, you can look at companies like Sleep Number Beds. They have local brick-and-mortar presence with salespeople but also run very smart and aggressive national direct-response, lead-generation advertising. So, who is doing this well with the constituency that I want to reach? The second thing is that I would be getting a general understanding of what I frame as direct marketing for nondirect marketing businesses. The third is to forget the accepted norms, which are usually wrong. Most businesses, including this one, are very Amish. Everybody is in a circle looking at each other and mostly trying to farm incrementally better but still farming with a mule and a walk-behind plow. There’s enormous resistance to anything that they don’t see facing each other inside that circle. This happens with vendors who specialize in a given industry. I do pro bono work for food banks. There are four or five ad or media agencies that produce most of the direct mail and most of the newsletters for all the food banks in the country. Consequently, now you have an Amish community with four in it standing in a circle looking at each other. Then they sell their farm implements to the Amish communities standing in a circle around them. If this were the way that financial advisors operate — absent rogues, renegades and innovators — every advisor would be going to his appointments with a big pooper scooper to clean up after his horse when he parked outside. And he couldn’t meet with anybody after 5 p.m. because there would be no electricity nor could he fire up the laptop to show me that nifty pie chart. If you want above-average anything, you will not get that by sticking to norms any more than a reformed alcoholic has much of a chance of staying sober if he frequents bars and hangs out with heavy drinkers. FELDMAN: I love that Amish analogy. But that being said, I think some people would ask how they can deviate from norms and remain compliant in a highly regulated environment. KENNEDY: Advisors have this religious belief that they are the only put-upon, hamstrung, regulated profession or industry in the world. And they feel like they are wearing a crown of thorns and being abused by this and being severely restricted by that like no one else. And it’s entirely untrue. There’s virtually no industry — and I work in over 100 — without regulatory interference, scrutiny, rules of law and in many cases product provider bureaucracy. Anybody in e-commerce will tell you their horror shows of Facebook and Google. Anybody in nutrition, nutritional supplements and most health fields is dealing at least with the Food and Drug Administration, the Federal Trade Commission, the attorneys general in every state and in most cases their own professional associations. Chiropractors and dentists are at odds with the national and state chiropractic associations and, ironically, even lawyers must combat the compliance dictums of their own bar associations. Pick a business and I’ll be happy to show you how it is mired in the same sort of stuff. Almost without exception — and I’ve been at this for 41 years now — people lie about the limits of the actual rules that they must live by versus what they have come to believe are the rules. The advisor is living inside a pretty small box manufactured entirely of peer standards, industry norms, his beliefs and in many cases his company’s compliance officers’ beliefs about what can and cannot be done. But that is within a much larger outer box that represents what really can and cannot be done. I’d rather not mention them by name, but I have a favorite compliance story. Some years ago, I did a bunch of marketing work for a securities company for recruiting but not for public consumption. Shortly after delivering all the work, mostly copywriting, the vice president called and said he had bad news. The compliance guys got into it and it’s all marked up with all sorts of stuff you can’t say and we need you to come into a meeting. I went to the meeting and we started through all of the stuff they said I can’t say within the advisor community to recruit advisors. And I merrily pointed out to them how much of it I had gotten out of their own corporate brochures and their own material that was actually being used with the public. Often you have compliance people who from one day to the next don’t even know what they are doing. They said no yesterday. But they’ll say yes today. It depends on their mood. So the first thing is there’s a lot of nonsense about this. When you press and get facts, you find that you have a lot more room to maneuver than most people think they do. The second thing is neither law nor industry compliance standards preclude doing things differently than everybody else does them. They preclude certain specific ways of doing things. For example, nothing precludes calling the three-hour evening dog and pony show an Evening with the Authors rather than a seminar or a workshop as long as the advisor is actually an author. Nothing precludes having a celebrity from the local football team there to greet everybody and sign footballs. But hardly anybody does it. So the idea that they can’t do anything radically different because they are in a compliance-sensitive industry is just ridiculous. I have a saying that most people would rather have a good excuse than a good opportunity. The reason the vast majority is comparatively poor and at the bottom of their industry in terms of income is not luck. It’s attitudinal and behavioral. People prefer their comfortable excuses over uncomfortable and challenging change and invention. FELDMAN: Most advisors (and compliance departments) believe and even insist that they can’t use client testimonials. You say otherwise. How can we as an industry use testimonials in our marketing? KENNEDY: It is absolutely untrue. I have registered investment advisors as clients and we legally use testimonials. There are ways you can’t, but there are ways that, very carefully, you can. The first question is whether you want to figure out a way to do what is effective or if you want to accept the first no you get from a compliance officer, lawyer, product provider or peer group. Success has a great deal to do generally with how easily you accept being told no. I can show you example after example of deviation from what the industry views as laws but are in fact only norms. For example, I have an RIA client who has an annual picture book of clients presenting photographs of and stories about their lifestyle and happiness achievements of the year. So Bill and Mary, who have always dreamed of buying an RV and touring every state in the union, show pictures and tell stories about that. Clients who have kids graduating from great colleges or similar accomplishments provide pictures and stories about that. But no one ever explicitly says this is possible “because my advisor Bob makes me so much money or takes such good care of my money.” Such words are never uttered. It is merely a celebration of clients’ lifestyles and happiness accomplishments. The message, though, is pretty damn clear. You would have to be Stevie Wonder not to see it. It is a Chicken Soup for the Soul book of stories by clients. It is not as good as an overt testimonial, as in, “I went through five advisors who lost all my money and finally John saved me.” But it is infinitely better than omitting one of the most powerful categories of marketing tools that there is. I have another client who in his newsletter regularly recognizes a client’s charitable giving and the charity they support. But nothing is ever explicitly said that this is possible “because John the Advisor takes such good care of my money.” The message is there, and for his demographic and psychographic, being charitable is a motivation. I started him doing it because the Cleveland Clinic Foundation, which sold me a charitable gift annuity, did a big feature story in their newsletter about me. Some people trade away their ability to do certain things for the parent company relationship they prefer. As long as they know they’re making that trade, I have no problem with it. But there is enormous flexibility in all of this that people too easily ignore. FELDMAN: Many of the advisors that I’ve met over the years say they only work on referrals. What are your thoughts on that? KENNEDY: I think they placed an artificial cap on growth. Also, the fact that your best client comes from a referral is somewhat mythical. Sometimes that’s true. It’s more true that the easiest-to-persuade client may come from a referral. But not necessarily the best one. In my own practice as a consultant and a copywriter, I would rather not have client referrals. That’s because in most cases they haven’t gone through my own feeder system and educational process to be really good, appreciative, respectful, trusting and compliant clients before they get to me. If an advisor wants to focus on or emphasize referrals, that’s fine. But there’s a role for integrated marketing and selling. The reason people get less pure referrals than they could is because they don’t do referral marketing. They don’t really have media and tools and systems and processes for the client to refer into. Instead, they basically put all the onus on the client: “Here I am. You know I’m doing good work for you. Please tell your friends and family about me.” That’s asking your clients to be a sales force not a referral source. Very few are really capable of doing that. Media and marketing play a big role with devices like a good video sales letter that the referring client can tell people to watch. I have a wealth management client who is focused on soon-to-retire or recently retired business owners of companies worth $20 million or more. FELDMAN: Yes, you can really put your referrals on steroids if you have a whole integrated program and follow-up system. Do you find that the follow-up is often a problem in this business, especially after a seminar? So 80 percent of everything they spent to put people in that room, they throw down the toilet. I’ve tried to make people uncomfortable with this. I have brought them up in front of the room to tear 80 percent of a $100 bill off and set fire to it because that’s exactly what they are doing. There are lots of reasons people don’t act immediately. For example, evangelical Christians may have taken a sworn oath to do nothing until they sleep on it. Follow-up is a way of demonstrating sincerity. I don’t buy anything from anybody who doesn’t do good follow-up before the sale because that tells me what life is going to be like after the sale. FELDMAN: How does an advisor’s life change when they adopt the methods that you are describing? KENNEDY: It is a much more sophisticated and enjoyable way to do business. Not only will that make life better for the advisor, it will actually make this less stressful for the clients. It will largely preempt the increasing tendency to shop. The Internet is the gift that keeps on giving, but it’s also the gift that keeps on taking away by commoditizing the business. Then there is the Google effect. So the advisor’s dog and pony show told people about “401(k) rollovers,” and then they go home and Google “401(k) rollovers.” As they look at all the information that it brings up, basically they age and die before you ever get a chance to make an appointment. There is a more sophisticated approach: integrating, positioning, advertising, marketing and selling preempts a lot of this growing nonsense. It’s really about becoming the go-to guy. There is a process for this. It is absolutely appropriate for advisors as it is for lawyers, estate planning attorneys, cosmetic dentists. It’s about developing a trust relationship environment, and advisors would be well-served by learning it and elevating the way they play the game. Want more Dan Kennedy? As a special gift for InsuranceNewsNet readers, Dan was kind enough to offer one of his best-selling books for free (just pay $4.95 shipping and handling) and some free bonuses worth over $633! To claim your copy (while supplies last), simply visit FreeKennedyBook.com.